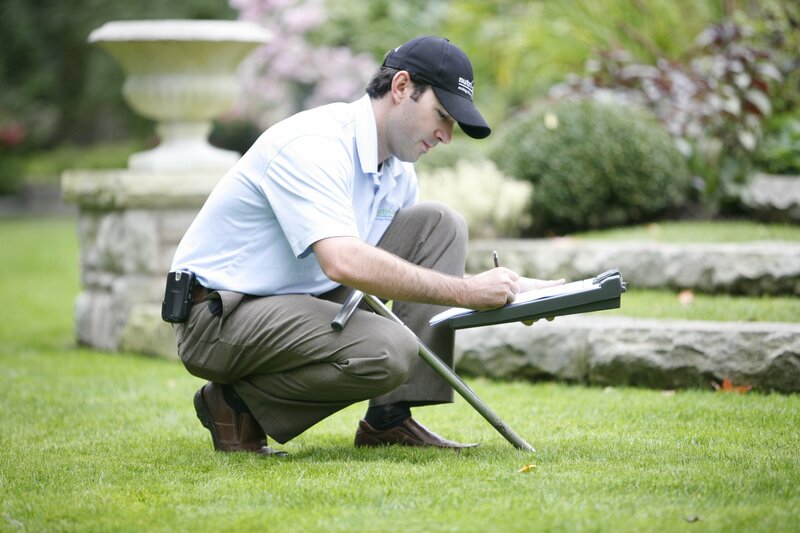 Core aeration is the process by which small cores of soil are removed from the lawn. This is done using an aeration machine. 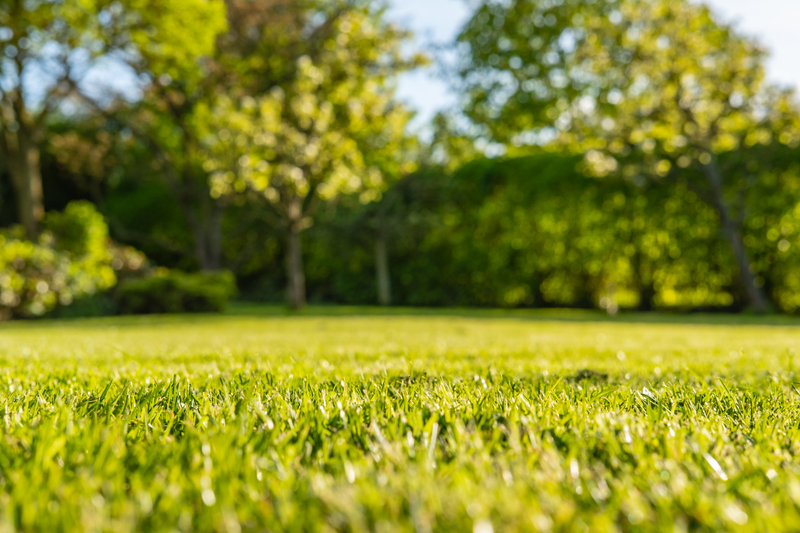 Aerating the lawn in the spring is highly recommended and provides many benefits including: relieves soil compaction, removes undesirable thatch layers, encourages deep root growth, improves air and water exchange, and improves fertilizer and other control product uptake. 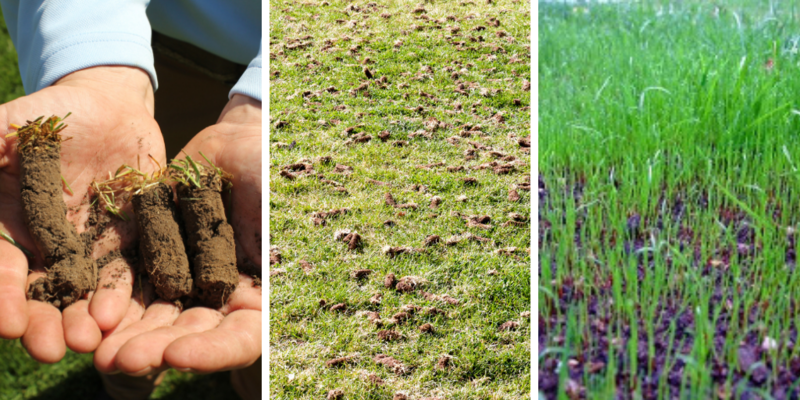 Soil conditions lacking in essential plant nutrients and organic material can create a challenge maintaining healthy turf. Spreading a thin layer of weed free natural organic topdressing across a lawn can help bring a tired lawn back to life by adding valuable nutrients, organic matter, micro organisms that fight plant disease, improve heat and drought stress, and optimizes seed germination and turf establishment. Spring is an ideal time to conduct a soil test to determine if the soil pH is ideal for healthy turf growth. optimal soil pH ranges between 6.5 – 7.5. Readings below 6.9 are considered acidic and readings above 7.1 are considered alkaline. Spring is a great time to apply Enhanced Calcitic Limestone to neutralize soil pH when conditions below 6.5 exist. 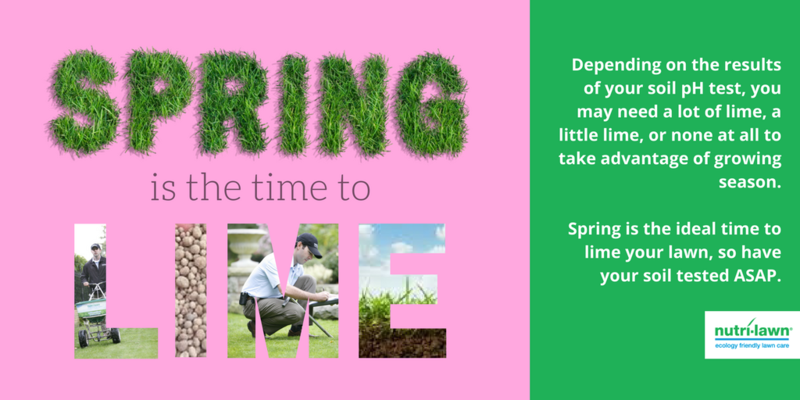 Follow us on Facebook for more spring lawn care tips & tricks.